From new housing installs to a blocked toilet, burst pipes to washing machine install, gutter cleaning to a bathroom renovation - we can help. Thinking of installing a new gas appliance or replacing an old one? Gas heating for home or office? Talk to us about your options. Roofing for new builds, existing houses or roof maintenance. Got a tricky roof problem - we can help. It's never nice having a plumbing emergency, whether a burst pipe, flood, no hot water or roof leak - give us a call. David & Jason have nearly 30 years combined experience, so let us help you with your plumbing, gas fitting or roofing requirements. Contact David or Jason at Smarter Plumbing Ltd for friendly and efficient service. 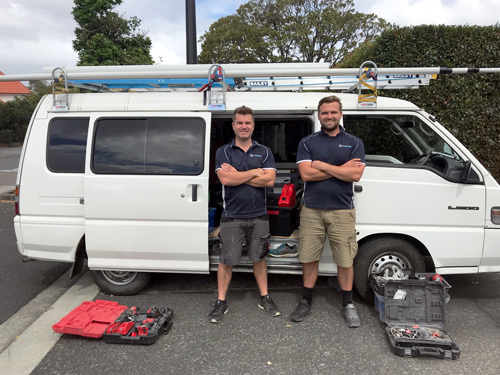 They'll be happy to help with your plumbing, gas fitting or roofing query. A family run business that's professional, dependable and affordable.